As the entire nation is now focusing on the farmers of the country and both central and state governments are keen on introducing so many schemes in order to offers more facilities and options to the farmers to get rid of their worries. Recently, the Uttar Pradesh state government introduced Samajwadi kisan & Sarvhit Bima Yojana for the protection of the state farmers. The scheme is mainly introduced for tackling the financial problems of the Uttar Pradesh state farmers when a natural disaster happens resulting in crop damage. Under this scheme all the farmers of the state would be insured with certain limit of amount based on the land provisions. 5 What does the scheme provides? Provides Insurance coverage for farmers. In addition, the scheme also covers the insurance coverage for the beneficiaries. With the launch of the scheme the UP state farmers would feel protected under the current ruling government’s chief minister Mr. Akhilesh Yadav. The scheme which got established in the state of UP has gained lots of positive response among the farmers and also among several social welfare peoples across the nation. Some of the most highlighted features of this newly introduce scheme are listed below. Under this new scheme, all farmers of the state of Uttar Pradesh would be insured which will be benefited for the farmer’s family if any unexpected thing happens. As we know, the state government have been invested a lot in this scheme which would be beneficial for more than 15 Crore residents of the state Uttar Pradesh. Under this scheme, state farmers and people from the poor society would be assisting with proper financial support along with offering social security for the needed people. People also refer this newly launched Yojana as the Uttar Pradesh’s new insurance scheme of the poor people specially introduced by the state government. The respective beneficiaries must be from the state of UP and the individuals or family must be farmers’ background or must from the poor categories. In case of farmers’ background, the respective beneficiary must be aged in between the limit set by the state government which is 18 to 70 years. In case of being from poor family category, the respective beneficiaries must have the family total income of below 75 thousand, to get avail the benefits of this insurance scheme. The registered farmers and poor families of this new insurance scheme introduced by the state government of Uttar Pradesh few months ago in the last of 2016 able to get some high amount as insurance. With this scheme, the respective individuals can able to get up to rupees two and half lakh of amount as medical allowances for their own or to any of their family members. Meanwhile, the scheme offers the amount of Rupees five lakh for the respective registrant death in mode of accident of any other natural form. The amount can be claimed by the family members of the deceased registrant of this scheme. In order to make this scheme more effective, the respective authority planned to do include few innovative methods as a results, they have introduced smart card system for this heath scheme in the state. The smart card will play as the role in the name of ‘care card’. By using the ‘care card’ provided in this scheme, the beneficiaries can able to get twenty five thousand finance assistance for getting medications in first aid in any of the medical centers in case of accident. In addition to that, the eligible people can able to get cashless treatments from the allotted health care centers across the state. 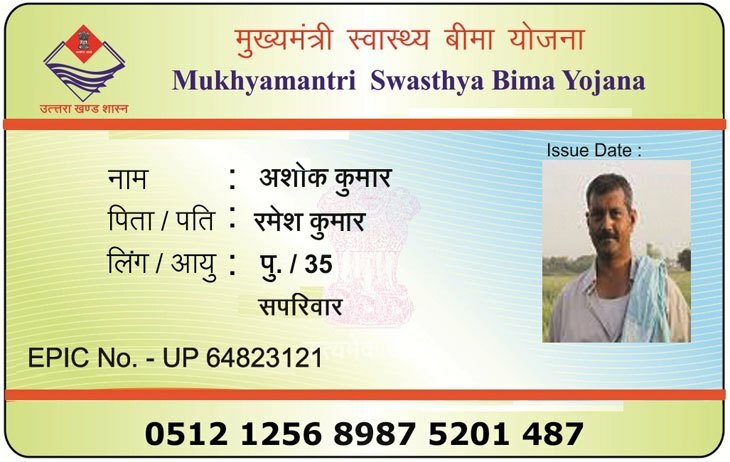 By visiting the official site https://bimacarecard.com one can able to get full details about the smart card of this health scheme. The official site of bima care card www.bimacarecard.com offers wide variety of information covering all the aspects of the entire scheme. By using that site, people can able to register under this scheme and they can able to track their application status in online. The site has its own toll free number of 1800 – 3004 – 4404 by dialing which registered individuals of UP can avail any information about the scheme.